Home > Coast Blog > Press > News Releases > Coast Packing Co. to Sponsor Gustavo’s Great #TortillaTournament With KCRW’s Evan Kleiman; Will it Be Corn or Flour? Coast Packing Co. to Sponsor Gustavo's Great #TortillaTournament With KCRW’s Evan Kleiman; Will it Be Corn or Flour? Coast Packing Company, the West’s largest supplier of healthy animal fat shortenings – an enterprise whose VIVA® lard has launched literally tons of tortillas — today announced that the company has signed on as a sponsor of Gustavo’s Great#TortillaTournament(https://kcrw.co/2MpQxmL), a no-holds-barred challenge that pits some of Southern California’s most iconic tortilla brands against each other to determine definitively which one reigns supreme. 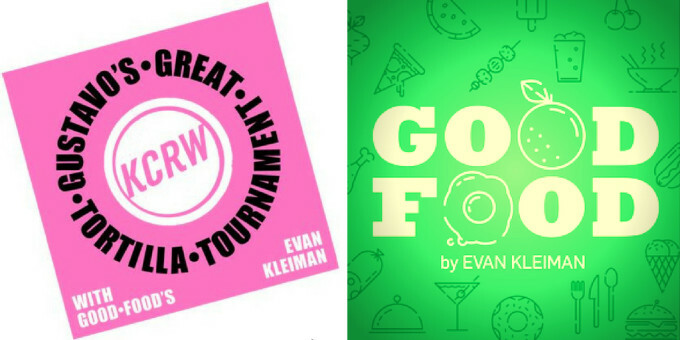 Organizing the tournament – which wraps up on Sept. 16 at the Los Angeles River Center & Gardens in Cypress Park– are SoCal muckraker and author of Taco USAGustavo Arellano (@gustavoarellano) and KCRW Good Food (@KCRWgoodfood) host Evan Kleiman (@evankleiman). Gustavo, Evan and their team are spending the month scouring Southern California for the best corn and flour tortillas, visiting supermarkets and mercados, restaurants and factories, new spots and places that have been around for generations, using the following criteria: does the tortilla reheat well? Will it quesadilla? And how does it taste? Fittingly, the winner will take home an actual golden tortilla. Between now and mid-September, Gustavo, Evan and fellow KCRW’ers Nick Liao and Connie Alvarez will match up tortillas from Riverside to Azusa to Santa Ana to the San Fernando Valley. The tournament format is straight out of a sports playoff: 32 corn, 32 flour, split into four brackets of 16. Within those brackets, every tortilla is assigned a seed, so that the highest-ranked tortillas go up against the lowest-ranked ones in the early rounds. That makes it easier for the best of the best to advance toward the finals—but also allows for upsets. Once the four finalists have been selected, the final face-off will take place on September 16 from 3 p.m.-7 p.m. at the Los Angeles River Center & Gardens, 570 W Ave 26 #100. Broadcast live on KCRW from 3 to 6, the festivities will include music, micheladas, food trucks and even tortilla art courtesy of Joe Bravo. The event is free; to RSVP—do so here.